Unibet have chosen to develop their own poker app in-house so you won't find this software anywhere else. 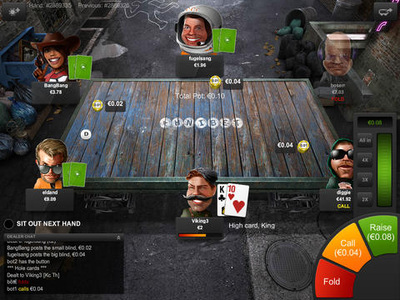 Both Texas Hold'em and Omaha variants are available, as well as Sit N Go tournaments and Fast Fold poker games. Works on any iOS or Android tablet. UniBet have closed their mobile poker room so we now recommend BetOnline as the best global poker app. Currently ONLY compatible with iPad & Android tablets. Play Texas Hold'em or Omaha cash games on mobile. Play Sit & Go tournaments or high-speed mobile poker. Stakes range from 2c/4c right up to €5/€10. Change your identity regularly to remain anonymous. 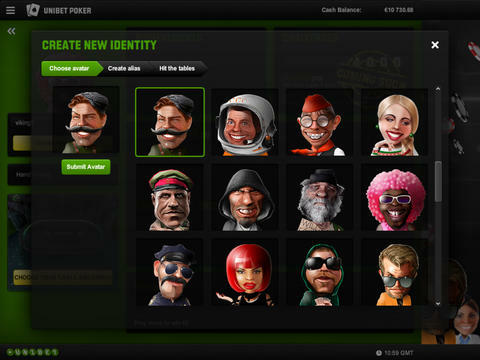 Unibet have always been a company that have worked to create a dynamic gaming opportunity for their punters. Their roots lie heavily in sports betting, but even this has seen them become one of the biggest in the industry, for Euro based players at least. Their affiliation with the online poker industry is probably not as strong, but they have managed to release a mobile poker app that is available on Android devices, of which we will be reviewing today. If you’re an Android user you will likely be aware that the Android store doesn’t actually stock any real money gambling apps. 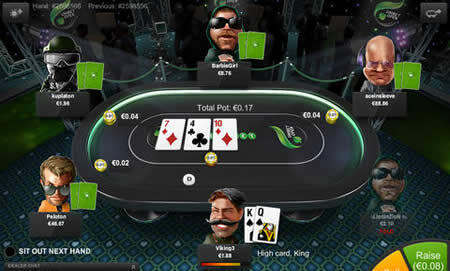 But, it is possible to still download the Unibet directly to your Android device. First thing you will need to do is go to your settings section on your Android device and click the ‘Unknown Sources’ box in the settings menu. This will mean you are able to download apps outside of the app store. Next, you need to visit www.unibet.co.uk/apps/poker and from here you will be taken to the download page. It’s worth noting that if you don’t want to keep the ‘Unknown Sources’ box checked in settings then you can unselect it after you have completed the download. The welcome bonus is actually a very clever one from Unibet. Unlike most you don’t need to make a deposit of any great amount to get the most out of. What they do is award you for consistent play over your first 60 days on site. There is potential to get up to €500 in cash from Unibet which are broken down into brackets depending on how much rake you produce. The table below shows you how much you need to rake for each bonus increment. The first thing that you will find from the app is how slick the home page. It looks very modern at first glance and it’s this section that will essentially be your HUB to go off to different sections of the app. The top left hand corner will be a little menu button and once you click this you can access a few different settings and also more information about the app and your account. It’s probably as good a place as any to get started if you are new to Unibet. Next thing that you should be looking to do is set up your profile. The view profile button underneath your avatar will allow you to jump in and set up your identity for your time on the app. There are a ton of avatars to choose from and not just the run of the mill boring types either. They are well designed with a bit of character added to them to bring them to life. This section will also allow you to change how the tables look, keep track on achievements, challenges, cash tickets and your bonus progression. There will be basic information about your playing hands and hand history from here as well. It’s also worth noting that you can change your table name as many times as you wish at Unibet, allowing you to be completely anonymous if you wish. The app will include a number of different missions and achievements for you to work through in your time on the app. They will range from simple things such as changing the background of a table to winning a tournament. The more that you work through the more cool features you will unlock. Again, these will range quite a bit from new avatars to tournament tickets. The home page is where you get to pick out your tables as well. 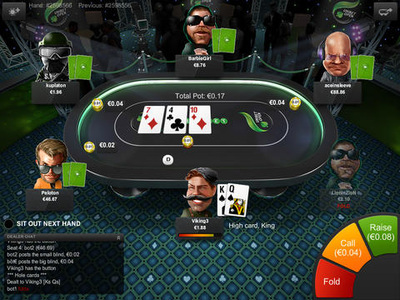 The games include both Texas Hold’em and Omaha variants of cash games, sit and go’s and tournaments. Speed poker is also an option, but this can only be accessed within cash games. Stakes start from 2c/4c but do range up to €5/€10 providing a pretty steady mix. One minor gripe from the games is that you can’t actually choose the table you want to play on, making table selection impossible. You simply click on the stakes that you want to play and then you are seated at the next available table. It is worth noting that often the games get a good number of players around the clock so its likely always going to be a game on offer. ﻿The tables are the best feature about the app, no questions about it. They look stunning and the ability to change the backgrounds between dozens of different, yet beautiful designs is a real bonus. 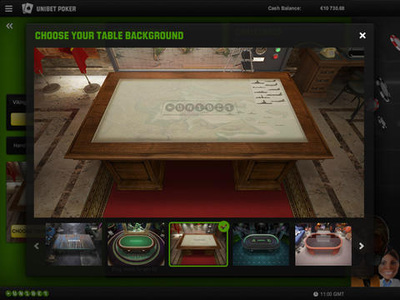 The tables will also give you a number of options to choose from in the form of coloured deck and the ability to switch your balance to cents, rather than Euros, which essentially recreates a tournament style in cash games. The functionality of the table on the Android device is probable the apps biggest selling point and we’ve seen that it works well on a number of different devices. There has been no crossover between this and any mobile version, although it should be noted that the app is only accessible on tablet and not smartphone. As mentioned, the games offer up a good number of players across the board. It’s not huge, but you should expect to see a good few hundred players at peak times, if not more. Standard varies like any poker room, but it’s generally on the good to soft side of things. Unibet has always had a big Scandinavian following, so you can imagine that some of the higher stakes can get quite tasty. It’s been hard to really find anything negative to say about the Unibet app, so we will start with the positives. The design is the best feature of the app. Any description we give of it will not do it justice, it really is something that you need to go and see for yourself. What we will say is that the mobile poker industry finally seems to be moving in the right direction in terms of design at least. What Unibet have done is shown what can be done in this market place and it’s now up to the others to play their part. From start to finish the app has really been a pleasure to use. The home page is easily navigational and jumping in and out of games takes just seconds, rather than some taking minutes to get to where you need to be. The range of games is also very good and it includes a whole number of variations that will suit most players. All in all, if you haven’t tried Unibet then you really need to take a look, it really is that good! Reviews of other iOS and Android mobile poker rooms.